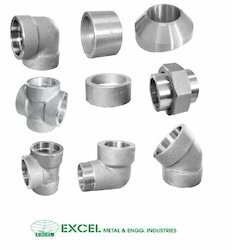 We manufacture and export Stainless Steel Forged Pipe Fittings and Forged Steel Fittings our range includes 15 NB to 100 NB in 3000 LBS, 6000 LBS, 9000 LBS available with NACE MR 01-75. 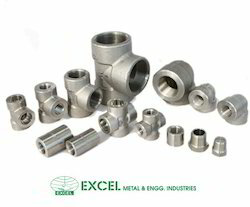 High quality forged fittings & outlets in different sizes and specifications with wide range. 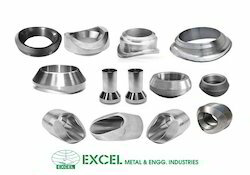 Forged Fittings ¼” NB to 4” NB in 3000 LBS, 6000 LBS, 9000 LBS available with NACE MR 01-75. 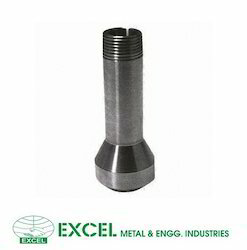 ¼; NB to 4; NB in 3000 LBS, 6000 LBS, 9000 LBS available with NACE MR 01-75. 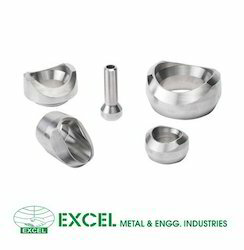 Size 1/2", 2", 1", as per std / customize / requirement, 3", 3/4"
Standard : ASTMA 105/A694/ A350 LF3/A350 LF2. 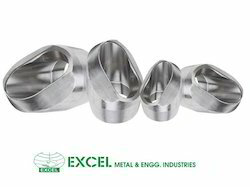 Elbolet : 1/2” to 24” in 3000 LBS, 6000 LBS, 9000 LBS available with NACE MR 01-75. 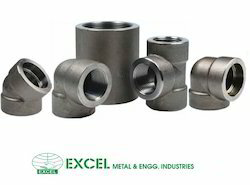 Forged Fittings : ¼” NB to 4” NB in 3000 LBS, 6000 LBS, 9000 LBS available with NACE MR 01-75. 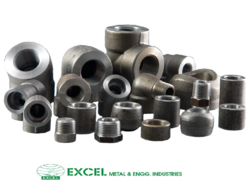 Outlet’s : ¼” to 24” in 3000 LBS, 6000 LBS, 9000 LBS available with NACE MR 01-75. 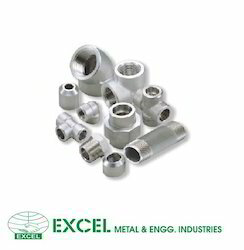 OutletsIn order to fulfill the changing demands of our clients, we are offering a quality range of Outlets. 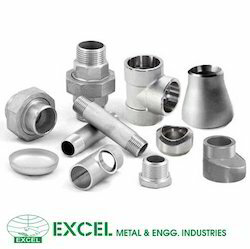 We source these products from reliable vendors of the market. 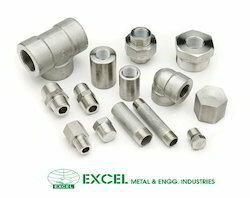 The Stainless Steel Outlets offered by us are widely used in construction industry for various purposes. Our products are highly appreciated in the market for their features like accurate dimensions, high durability and sturdy construction. 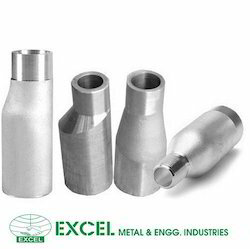 Moreover, clients can avail these products from us at industry-leading prices. 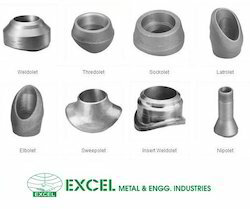 We are exporting in Bahrain, Brazil, Canada, Chile, Czech Republic, Egypt, Indonesia, Italy,Oman, Paland, Qatar, Saudi Arabia, Singapore, Uae, Uk, Usa, Germany. 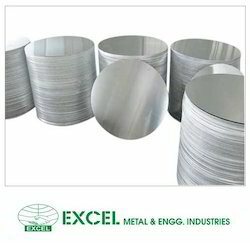 We are one of the leading trader and of Stainless Steel Circles.